Microsoft Outlook is a piece of software known as a ‘Personal Information Manager’ produced by Microsoft for Windows operating systems and Mac OS X. A Personal Information Manager in this case is a computer program used to pick up email, manage personal and shared calendars and contacts, keep track of to-do lists, and much more. Outlook is often confused with Outlook Express (Now known as Windows Live Mail), which is a cut down version of the same program which purely deals with email accounts and related contacts whilst including only a cut down version of the calendar tool. Whilst email is often considered to be the main purpose of the software this is not a mistake you’d want to make when choosing your software as there is a significant difference both in price and functionality! Outlook is a hugely versatile program which can be used to effectively manage several aspects of your working life. 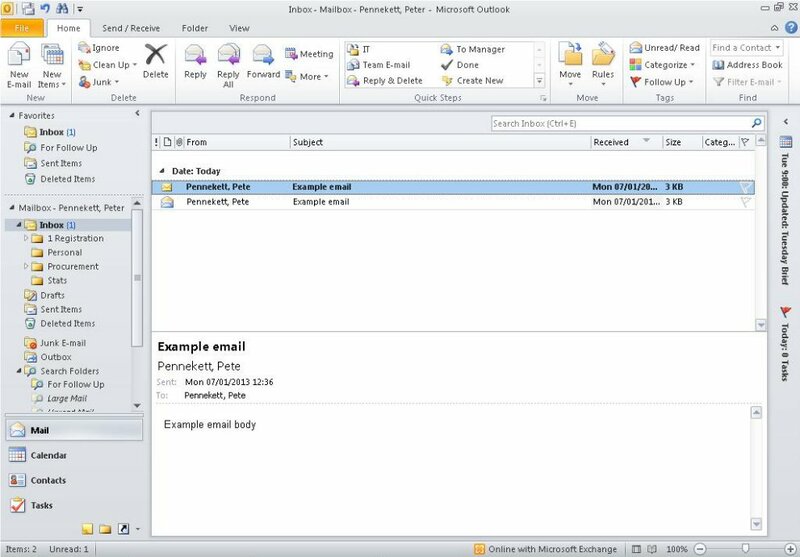 Whilst there are numerous free programs which effectively mimic the email and contacts aspect of Outlook (Or Outlook Express/Windows Live Mail), they fail to include the more complex functions which make it a great all round package for professional people. If you’re looking purely for a program to manage your email account, especially if you have more than one, Windows Live Mail or one of the alternative freely downloadable email clients will likely be fine. If you’re looking for a program to help manage your professional life, including the facility to send electronic meeting invites, manage distribution lists, etc. then Outlook is the program for you. I hope that the information provided in these pages will be useful to you, but either way please do let me know what you want to see in future. I will routinely put up polls to find out what people want to see, and you can always let me know what you think by completing the feedback form at the bottom of the page. Upgrades - Do I need them? I promise to use it only to send you Office Software Update.